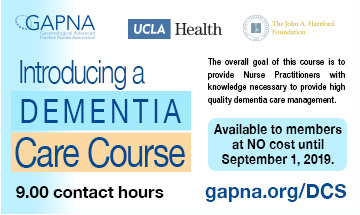 Get the GAPNA Conferences App and Stay Informed and Engaged, Even Before you Get to Chicago! Don't miss out on your opportunity to - network with your colleagues, take notes, ,check out the exhibitors, view the schedule & room maps, download handouts, get notifications about sessions and events, and so much more! 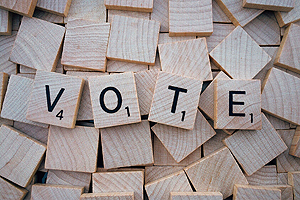 The GAPNA Nominations are now OPEN! Here are some tips from the Awards Committee for clearly communicating why your colleague/chapter/SIG is most deserving of a GAPNA Excellence Award. Applications are accepted March 1 through June 1 every year. GAPNA Pharmacology Conference attendees - handouts are now available to download in the GAPNA Online Library. Download (and print if desired) them before you go! ..for the 2019 GAPNA Contemporary Pharmacology Conference on March 28-30, 2019, Chicago Hilton, Chicago, IL. 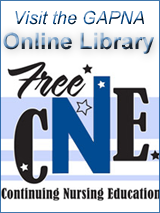 Highlights: Earn up to 11.5 hours of Pharmacology credit. 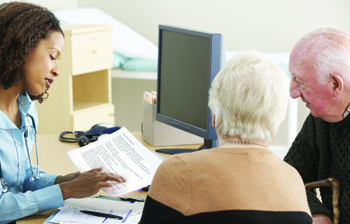 Enjoy the stimulating sessions, all offered by experts in their field, including: Prescribing and De-Prescribing for the Older Adult Patient; Tips and Tricks for Prescribing COPD Medications and Inhaler Devices; and so much more. 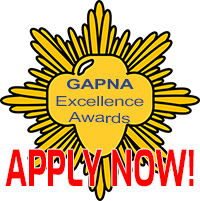 GAPNA Excellence Awards are Now OPEN! Nominations are now being accepted! Applications are accepted March 1 through June 1 every year. The nominations are tallied in July and the winners are announced every year during the Awards Celebration at the GAPNA Annual Conference. Self-nominations are invited.